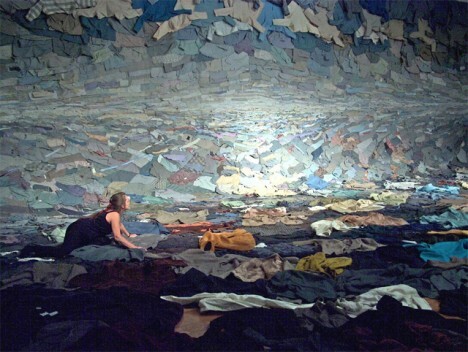 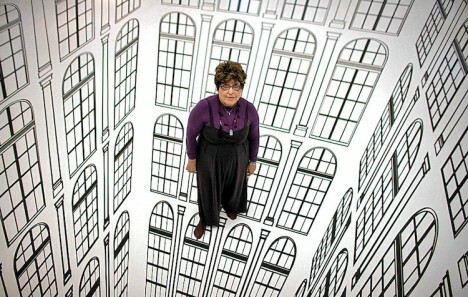 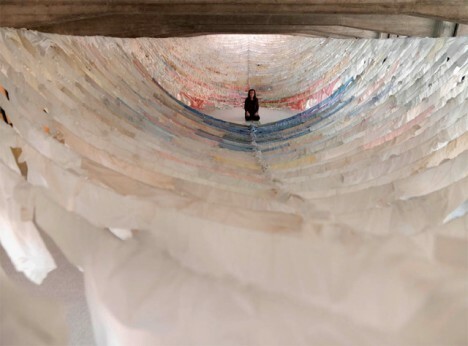 Anyone entering this surreal space by Brazilian artist Regina Silveira feels as if they could drop through the seemingly non-existent floor at any moment. 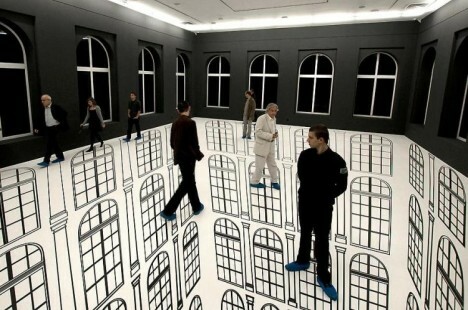 Entitled ‘Depth’, the installation in Lodz, Poland multiplies a series of black and white windows so that they seem to descend story after story into the ground. 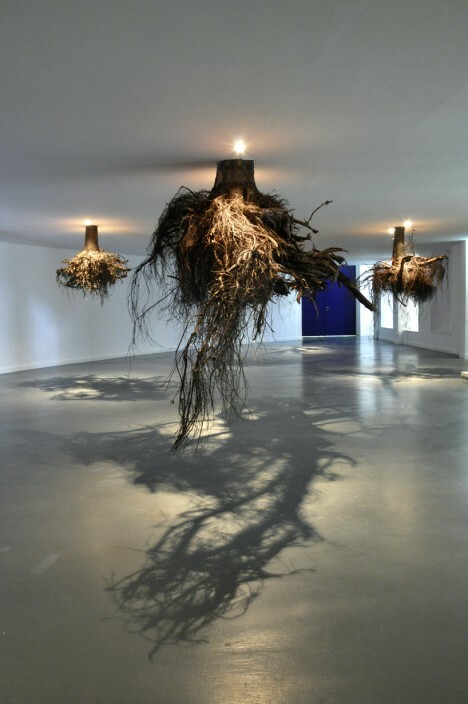 This exhibit gives us an idea of what it would be like if we could walk around underground and gaze at the root systems of trees, invisible from our place above the surface of the soil. 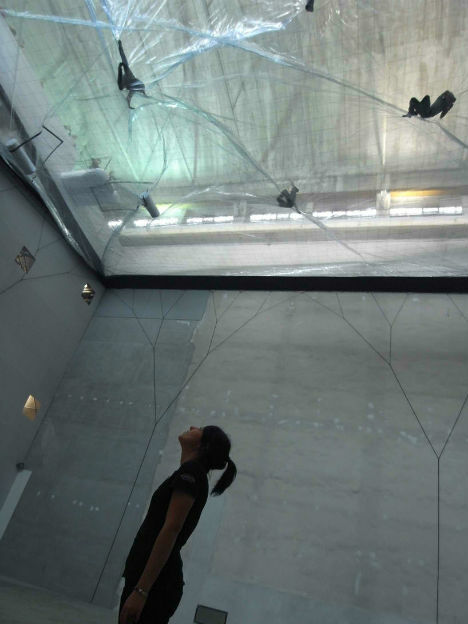 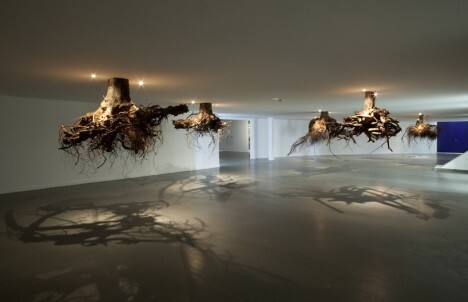 Humus 2012 by Guiseppe Licari took over Tent Rotterdam, hanging tree roots from the ceiling.